Caution! 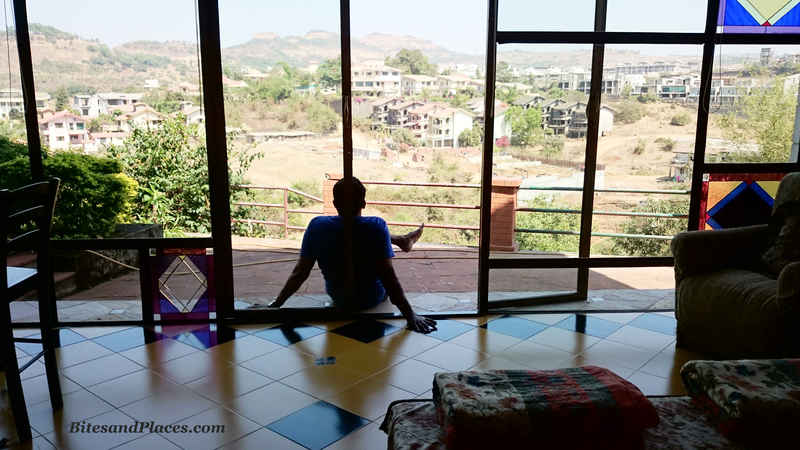 This page is loaded with irresistible pictures that can entice you to pack your bags and head off to Lonavla the immediate week-end. Gosh! This place is infectious! 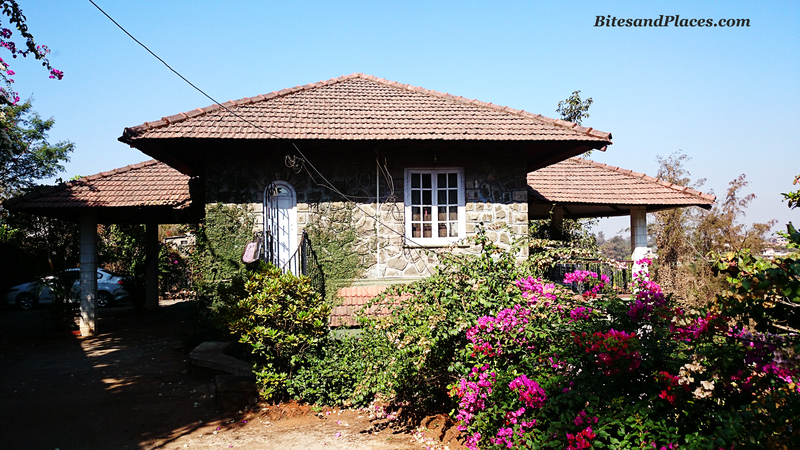 La Petit Maison, as different as it sounds, is a dainty bungalow clandestined on the slopes in the picturesque location of Lonavla. 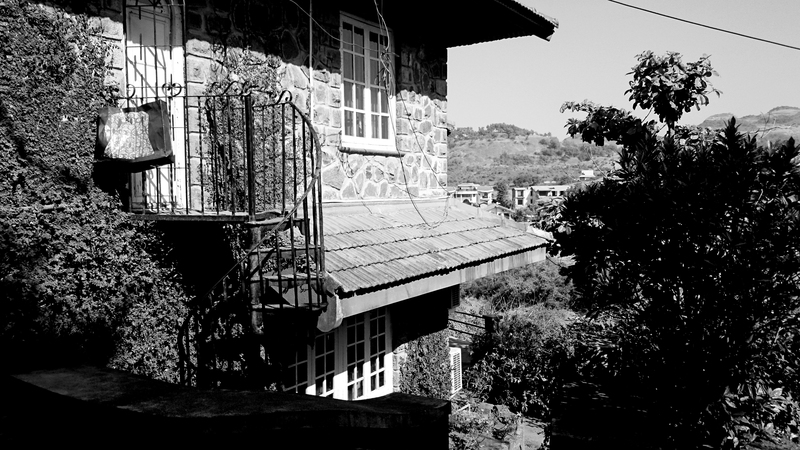 The exteriors are guaranteed to get you ricocheting into the black and white days when the fairy-tale movies ruled our hearts and our summer vacays. The rustic, old-style iron gate opens to this world of bliss and tranquility, the bright bougainvilleas festooning the already divine environs. The wrought iron swirling staircase in this picture is redolent of Rapunzel peeping out of her window. This actually opens into the kitchen. 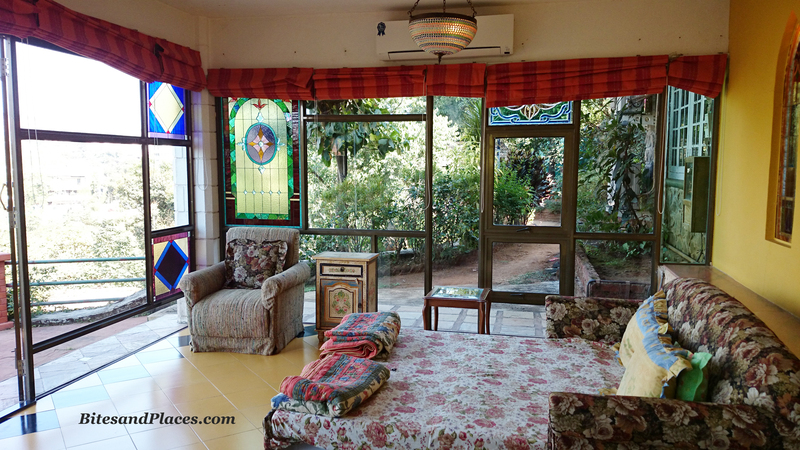 Accommodation – We booked the Glass Room (Rs. 3800 per night) where the walls are made of glass and the view is breathtaking. The room is big enough to accommodate 3 people. Extra bed is chargeable. 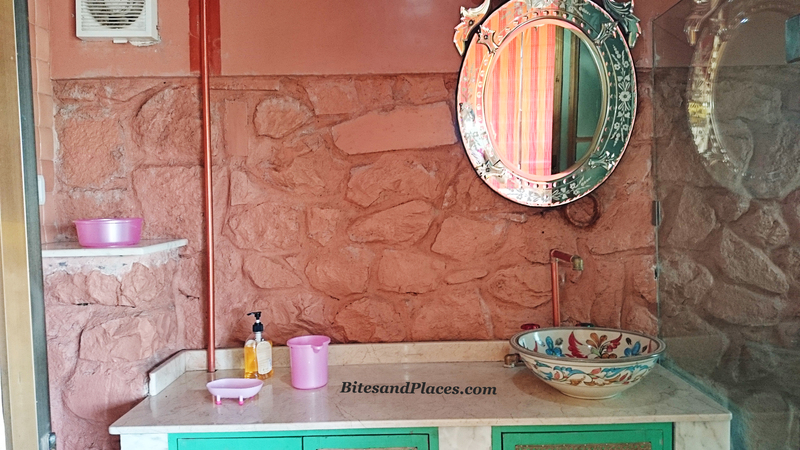 Mirror mirror on the wall – The middle one actually slides open to the toilet. 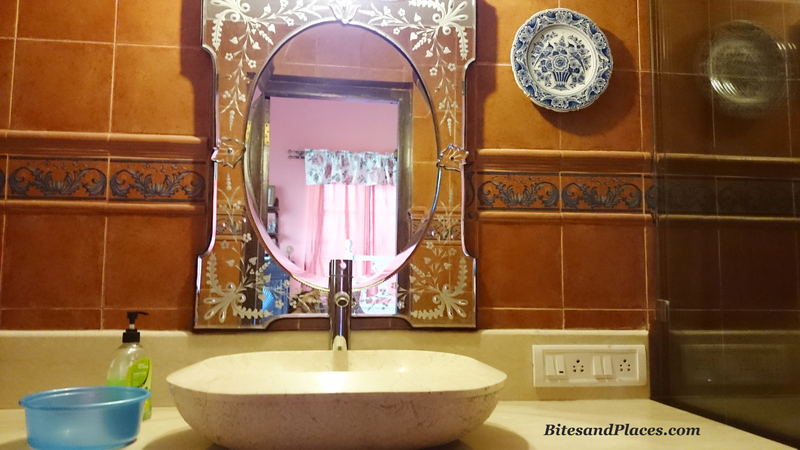 Toilet – Big vintage mirror adorning the cobblestoned wall and a glass bath cabin. Everything so tastefully done! There’s hot and cold water throughout the day. The bath products, you need to carry. 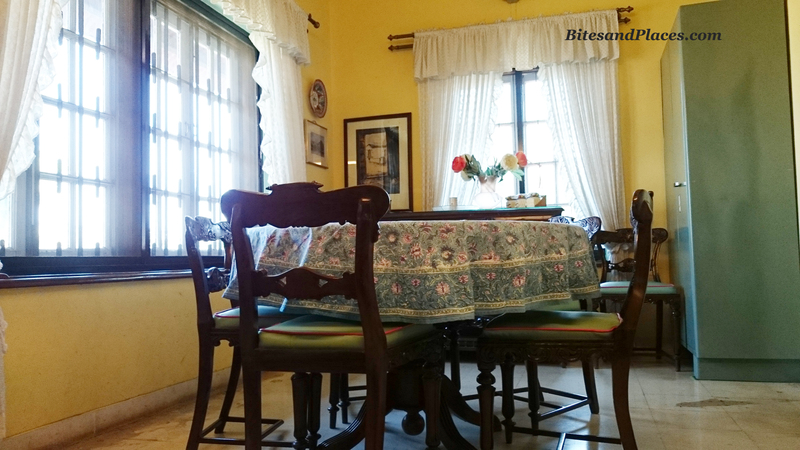 Dining – The bungalow has a common dining area. The caretakers, Mr. Dagdu and his wife live in a petite out-house along with their little girl and are here whole day. Breakfast menu is fixed – poha / upma / omlette, toasted bread, butter and jam and a cup of tea/coffee. Although there are many dining options outside, Mrs. Dagdu can cook you a homemade meal (veg or non-veg) if you wish. But that comes at a cost. Rs. 50 per head as the cooking charges. Ingredients – you can either buy all the essentials on your own, or pay Rs. 150 as autofare and Dagdu will source them for you, the cost of which you have to pay later. Oh the sopophoric Verandah! – Just sit down, soak in the sun and do your best at doing nothing at all…or may be just sip a cuppa and let the nature take over you. 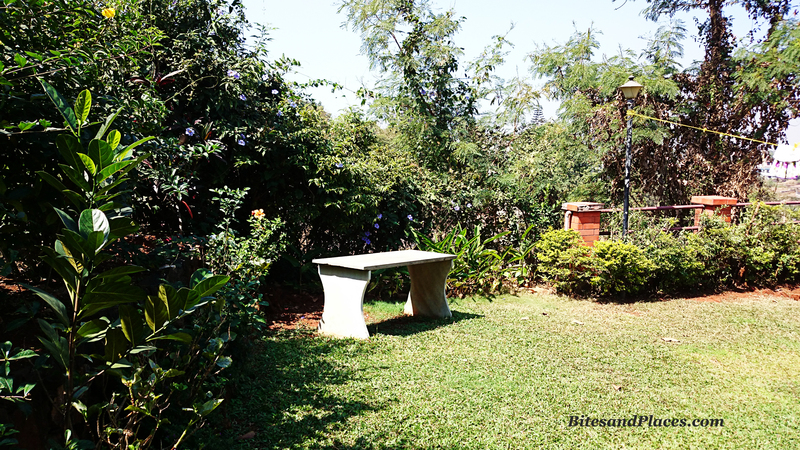 Garden – Give your weary feet a chance to meditate. Toss away those shoes for a therapeutic walk on the greens while the birds sing for you. Can anything be more relaxing! 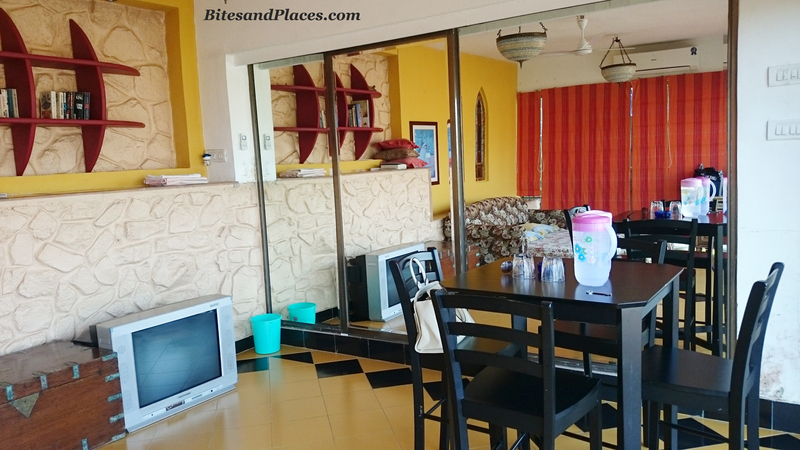 The Bungalow has two other rooms which are also rented out. But this weekend we were lucky to have the entire place to ourselves. No other guests had checked in. Lounge Room – The main door opens to a huge lounge room, equipped with old-style wooden furniture, sofas and a television. 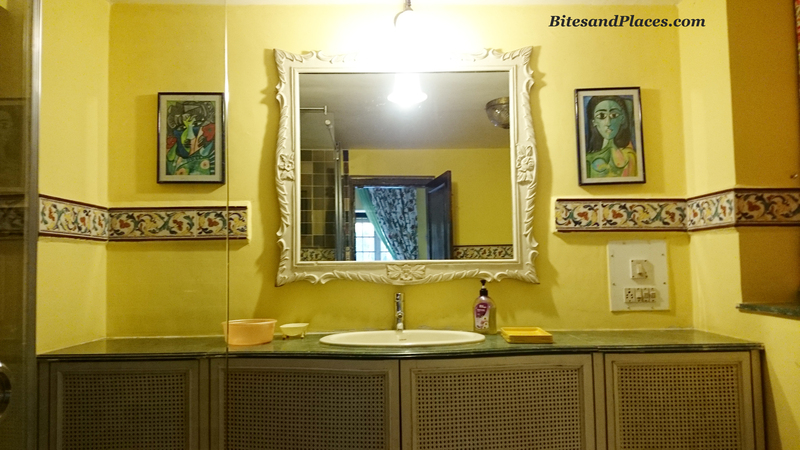 The paintings adorning the walls ooze the warmth of the bygone era. I specially loved the one of the villagers dating back to 17th century…the days when Konkan was spelled as Concan. 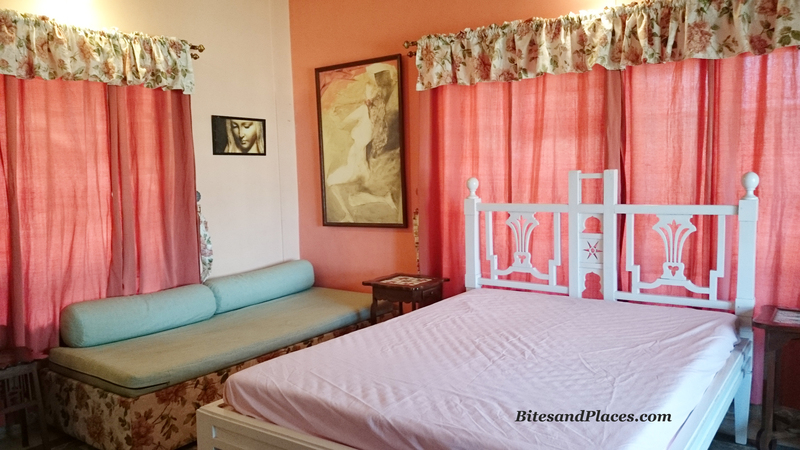 Suite Rooms – Two suites (each Rs. 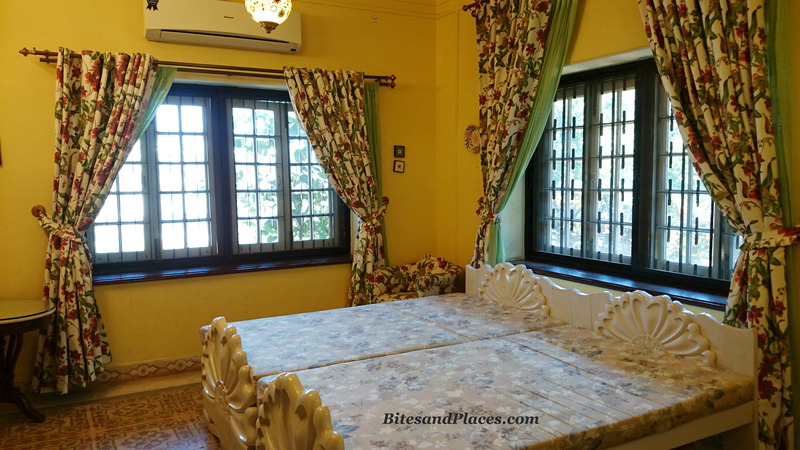 5000 per night) are located inside the main part of the bungalow and can easily accommodate 3 – 4 people. Each of them is tastefully done with light pastel colours, matching upholstery and vintage furniture. Both are connected to the lounge, kitchen and balcony. 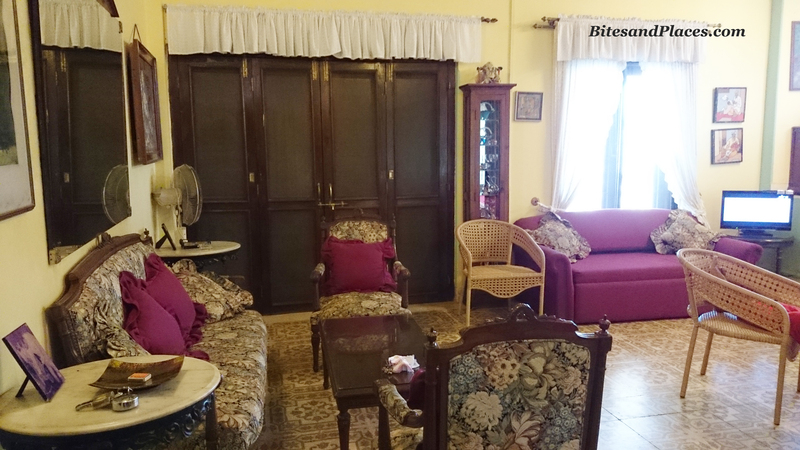 Amenities – Ample parking space, 24 hours hot water, garden, kitchen, common television (only in the lounge room), in-house library, care taker at your service. Commuting – The resort being tucked in the interior and at a considerable distance from the main road, its good to have your own vehicle for commuting. Auto-rickshaws are another option. Market is just a couple of kilometres away. My Say – Adults, specially couples, will love the place. 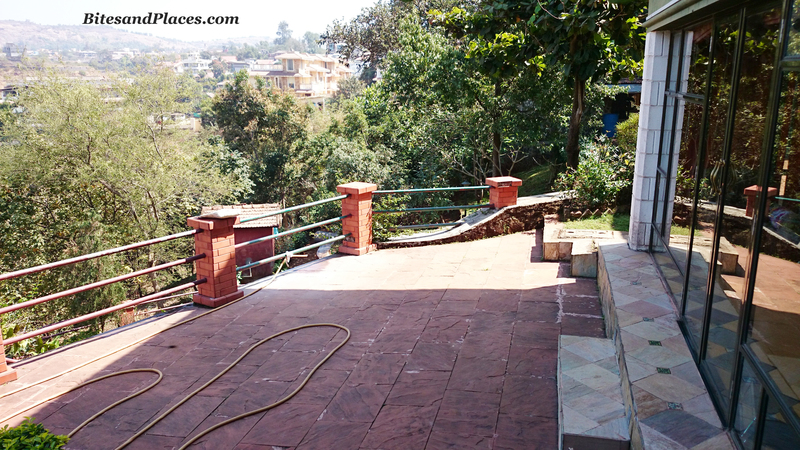 It offers all that you need to unwind and rejuvenate – peace and tranquility amidst nature. There’s too little for children to do here. We enjoyed the silent weekend before heading back to the cacophonous city for another busy week.